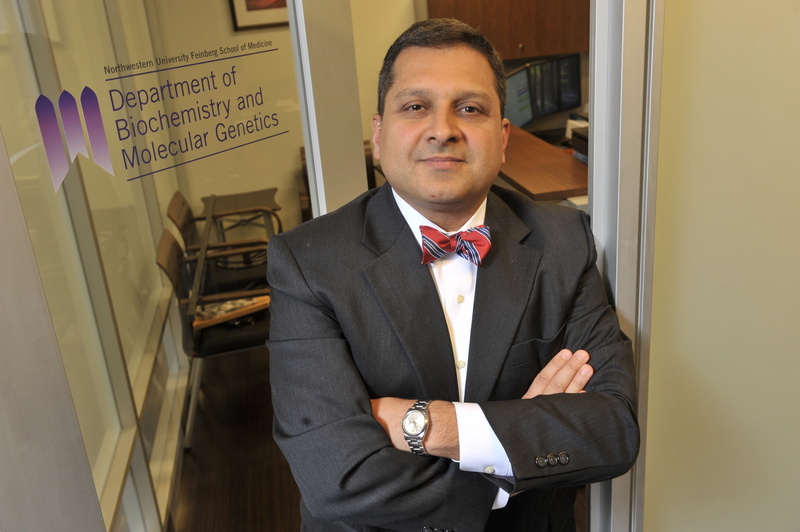 Ali Shilatifard, PhD, chair of Biochemistry and Molecular Genetics, director of the Simpson Querrey Center for Epigenetics and the Robert Francis Furchgott Professor, has been appointed editor of Science Advances, an open-access journal published by the American Association for the Advancement of Science, which also publishes the journal Science. Ali Shilatifard, PhD, chair of Biochemistry and Molecular Genetics and the Robert Francis Furchgott Professor, has been appointed editor of Science Advances, an open-access journal published by the American Association for the Advancement of Science, which also publishes the journal Science. Science Advances focuses on original research, publishing scientific articles and reviews. According to Shilatifard, who has served as chair of the journal’s editorial board and deputy editor since its inception in 2014, the journal has received more than 12,500 submissions from over 90 countries. “The Science Advances philosophy is to publish manuscripts judged to be scientifically transformative and technically rigorous,” said Shilatifard, who is also director of the Simpson Querrey Center for Epigenetics and a professor of Pediatrics. Science Advances’ editorial board has more than doubled since launch and now includes 13 deputy and over 130 associate editors. The journal has published over 2,000 papers, corresponding to a 17 percent overall acceptance rate and received its first impact factor rating of 11.5 in 2017. As an open-access journal, Science Advances enables all scientists to build upon discoveries and the general public to learn about basic scientific research, furthering the impact of the published content. In addition, Science Advances can expand to publish everything Shilatifard and the editorial board believe brings value to the scientific community. “This goal is wholly aligned not just with the mission of the American Association for the Advancement of Science but with the fundamental purpose of scientific publication: to record and disseminate important discoveries with the overarching goals of expanding the collective knowledge of the scientific community, enabling others to build upon one’s discoveries,” Shilatifard said. As Shilatifard takes the helm, he hopes to expand the pool of deputy and associate editors to ensure they can effectively maintain a publishing workflow of high-quality science. Several Northwestern Medicine faculty serve as associate editors, including Vadim Backman, PhD, professor of Biochemistry and Molecular Genetics and of Medicine in the Division of Hematology and Oncology, Navdeep Chandel, PhD, professor of Medicine in the Division of Pulmonary and Critical Care and of Cell and Molecular Biology, Guillermo Oliver, PhD, the Thomas D. Spies Professor of Lymphatic Metabolism, professor of Medicine in the Division of Nephrology and Hypertension and director of the Center for Vascular and Developmental Biology at the Feinberg Cardiovascular and Renal Research Institute, and John Rogers, PhD, the Louis Simpson and Kimberly Querrey Professor of Materials Science and Engineering, Biomedical Engineering and Neurological Surgery. “We will continue to grow Science Advances into the unique journal it is becoming, providing open, thoroughly vetted and truly transformative science for our authors and readers worldwide,” Shilatifard said. Read more about the history of Science Advances. Shilatifard, Chandel and Oliver are also members of the Robert H. Lurie Comprehensive Cancer Center.